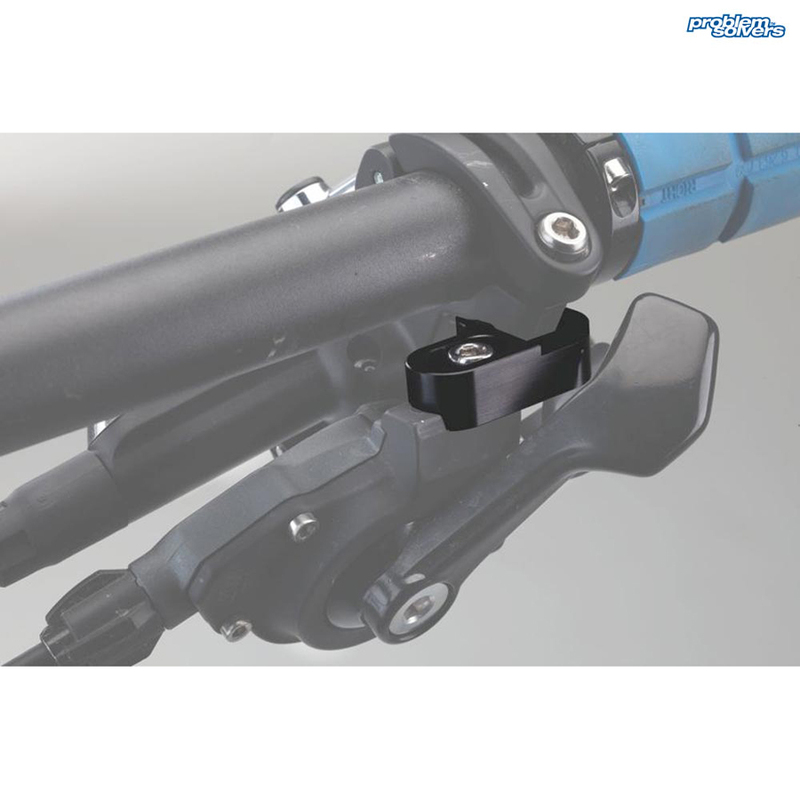 In recent years, mountain component manufacturers have designed brake levers and shifters that could be mounted to one clamp, saving on precious handlebar space, making adjustment easier and quicker, and just plain looking better. Usually, these only mate with the corresponding product from the same manufacturer, so we decided to mix 'em up. Our MisMatch Adapters allow the mounting of SRAM MatchMaker-compatible shifters onto I-Spec compatible brake levers from Shimano. ConsSpaces the shifter a little further away than the matchmaker did. It is bigger than I thought but, It is so practical. do you do a LH version? I am trying to fit the new reverb thumb lever to my shimano saint brakes with I spec B. This part says RH only so do you do a LH only part? Hi, they are not available as a L/H only part. The only other option is a pair. Thanks.